One of Bin Brook Motors’ most treasured patrons is Royal Ready Mix a subsidiary of Federal Engineering Contracting and General Transport Co., an established company that operates modern fully computerized batching plants, concrete mixing in United Arab Emirates. Mr. Abdalhafez Alabadla, Royal Ready Mix’s General Manager professed that they’ve been using Volvo and other brands for their fleet until Mr. Walid Eldessouki, Bin Brook Motors & Equipments L.L.C. Deputy General Manager, introduced Scania products and services. He was enlightened with the features and benefits that convinced him to try. At the moment, Royal Ready Mix has been Bin Brook Motors’ customer for over a year and they are very pleased with the brand, and had purchased more than 20 units of Scania vehicles. 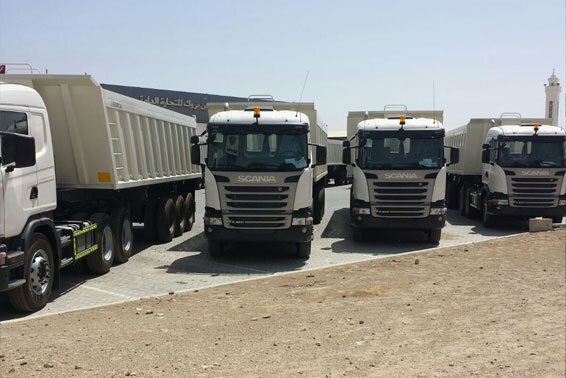 According to Mr. Essam Abadle, from their Finance Department “Our experience with Scania trucks was very efficient. We were encouraged to use the vehicle because of its good reputation and durability. It absolutely meets our expectation for our transport needs even the maintenance service that prolongs its use.” He also added “Although the vehicle and spare parts are costly compared to other brands, I believe we prefer to use Scania because of the quality assurance it delivers and the total cost of ownership which is an asset in every business”. Bin Brook Motors & Equipments L.L.C. builds relationships with customers and continue to find ways on how to satisfy them.